Login to our user-friendly platform from any device, and in real time monitor waste bins needing service. Gain insights into what real daily workload is and discover trends. Explore optimal container placement to reduce overflowing, gain operational efficiency, and minimize complaints. If running your own operations our platform provides advanced route planning - simply define your business logic rules and our platform will generate the best way to complete the job. Use our navigation app and watch your trucks as they drive their routes live. Use our route replay functionality to compare intended and driven routes. Our system will monitor your containers fill levels and activity patterns. 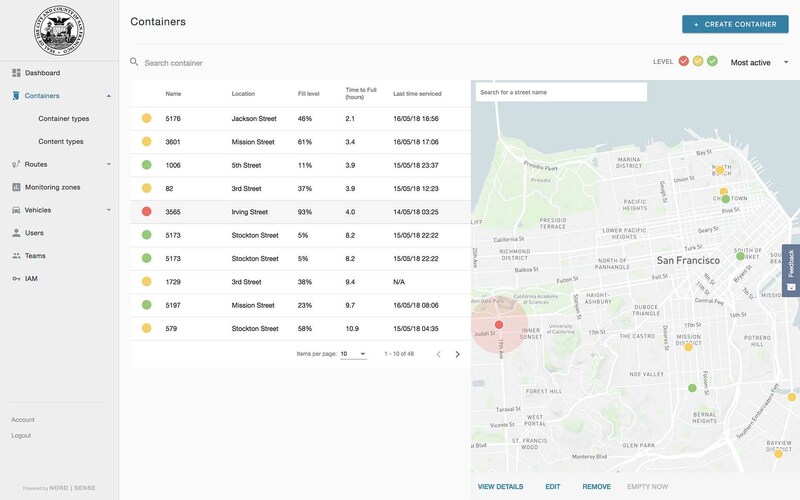 In a few weeks our system will be able to tell you which containers are most or least active, how fast they fill up and provides you with suggestions for optimal container placement to reduce overflowing scenarios. Our platform provides you with comprehensive tools that help you to efficiently manage your resources. 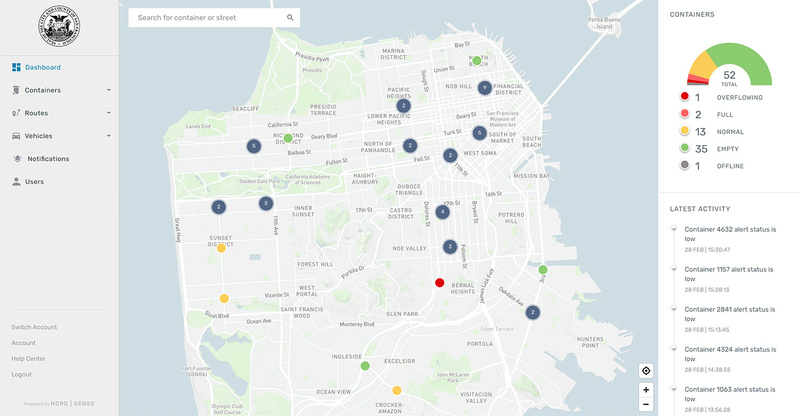 Create zones of interest to focus your attention on a particular district of your city or customer site. You can also create zones to granuarly organize your operations, wether on a per zone basis, or to create more elaborate route plans with multiple zones. What benefits does your solution typically provide? Our solution can reduce overall waste operations related costs up to 50%. Although it is not possible to just a give number, we have even seen in cases with excess of 90% reduction in daily collection within municipal waste operations. More intangible benefits include less pollution, less traffic congestion, cleaner cities and accountability of waste operations. What business model do you offer? We deal with many different customer segments and as such we are flexible in offering the type of business model the customer favors. Primarily we offer the solution as a SaaS model with a flat monthly subscription fee, which includes all device-related costs as well as our software platform and apps. You can alternatively buy the sensors upfront as a one-off sale and pay a smaller monthly fee. It is entirely up to you. How can I access the software? The platform can be accessed via any internet enabled device, but it is recommended to be accessed via a computer to get the best possible experience. Our Installation and Navigation Apps are available for both iOS and Android devices. Do you provide an API access? While we recommend our customers to use our platform to get the most out of the solution, we do have the ability to provide API access for 3 rd party systems like ERPs, etc. Nordsense is redefining the Waste Management Industry by providing smart sensors in waste bins to optimize the way waste collection is performed.